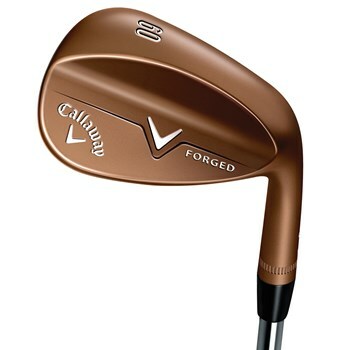 • 21 tightly spaced, USGA conforming grooves have sharper edges due to Callaway’s Triple Net Forging process. • 1020 Carbon Steel for soft feel. • Traditional styling with a higher toe and straighter leading edge. • Gradual C shape sole provides versatility on many types of shots. • Overall narrower width to the sole. • Each wedge loft has the ideal bounce angle for overall turf interaction and shot flexibility. • Copper Finish is designed to oxidize over time.